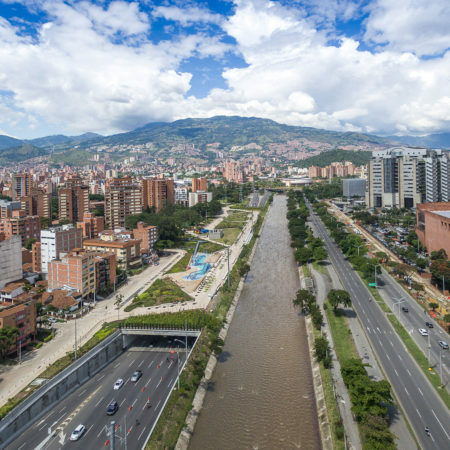 The river currently divides the city in two, which is limited territorially by its condition of Valley. 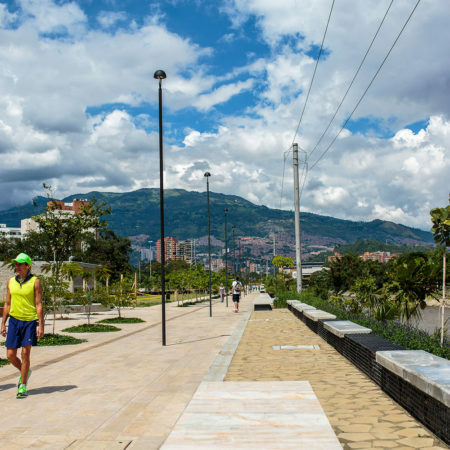 On the Banks of the river, historically, large national routes have been located, which not only divide the city physically and socially, but also in terms of environment. 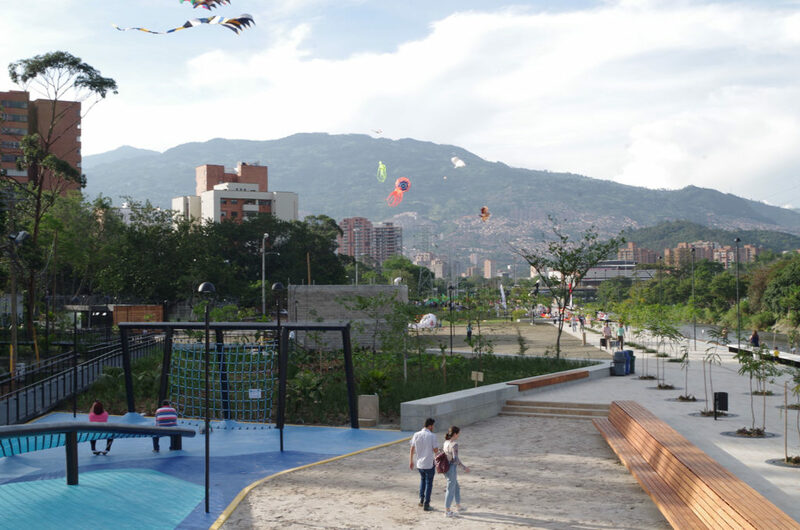 The project intends to integrate engineering, urbanism and landscape, to create a recomposition of the urban, environmental and social integration of the whole city, promoting sustainable urban redevelopment, and also recovering the memory of water on the city and the Aburra Valley. 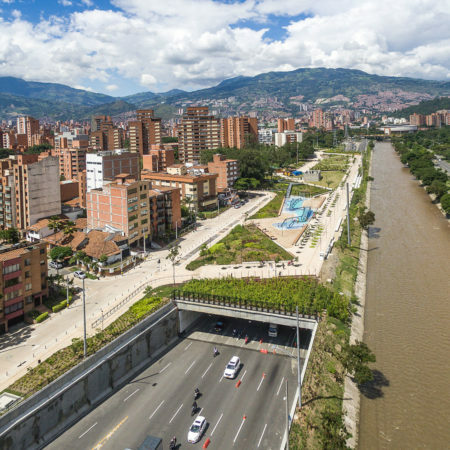 It is the mechanism to overcome the river as a Wall that fractures the city, trough an urban intervention creating an integrated territory. 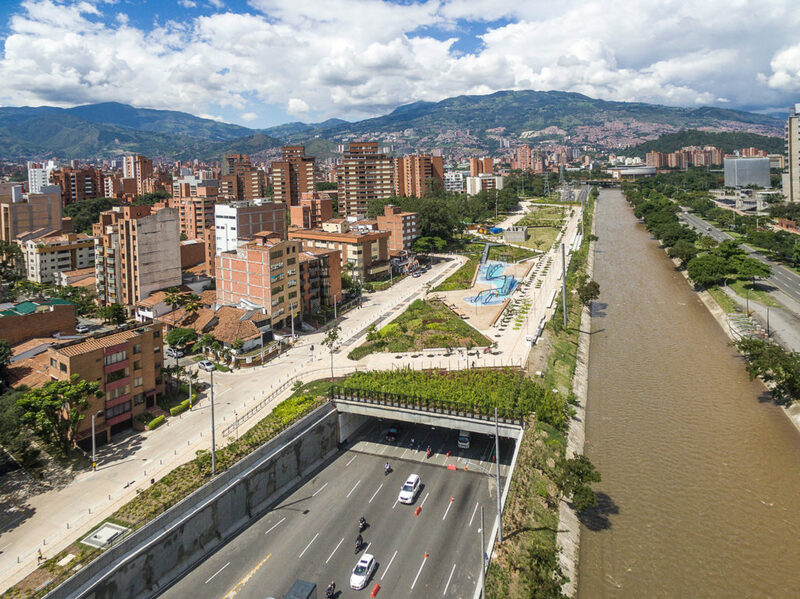 The project seeks to bury the roads of the river corridor in some sectors of the city, in order to get the inhabitants to recover the possibility of approaching the river, which they have not looked at for more than 60 years, seeking to create quality public spaces that Promote The citizen encounter in sectors that have been depressed by the development of road infrastructure. 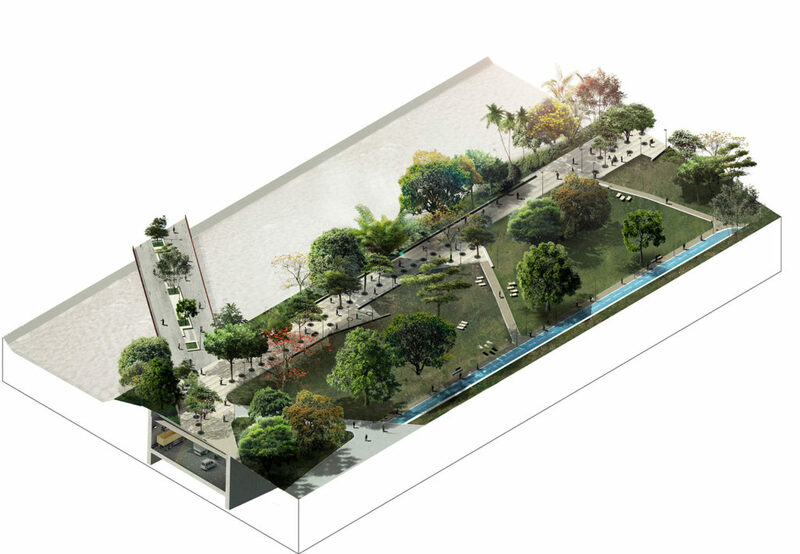 River Parks is the opportunity to create a hybrid project between infrastructure and nature, which will restore the quality of habitability to these abandoned spaces on the banks of the river. 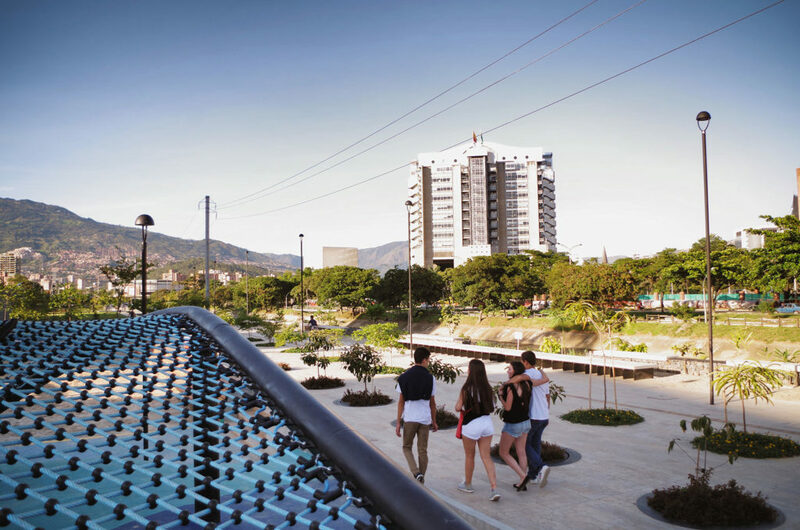 An urban development project for the implementation of public space and reconstitution of landscape with the most important water system of the city. 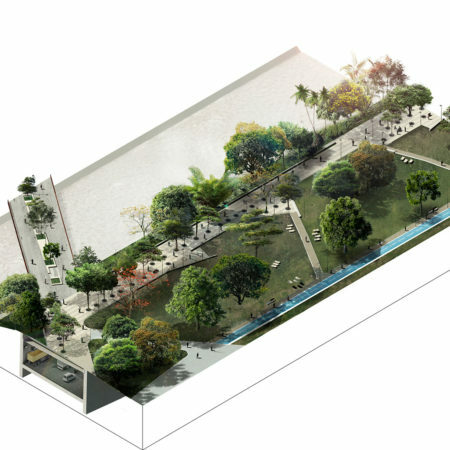 The project proposes to promote the ecological system of the city existing in the river’s biotic corridor, due to the implementation of associations of native species on these new public spaces, allowing to enrich the flora and fauna of the city. 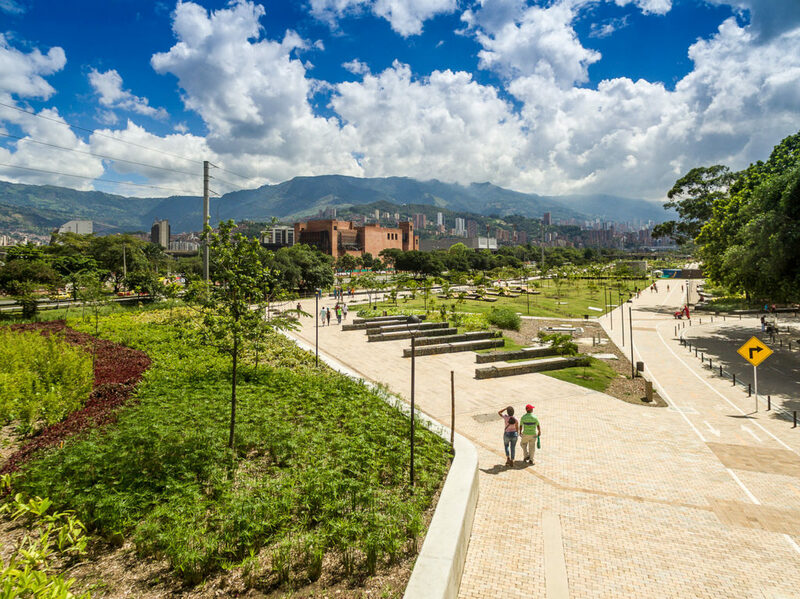 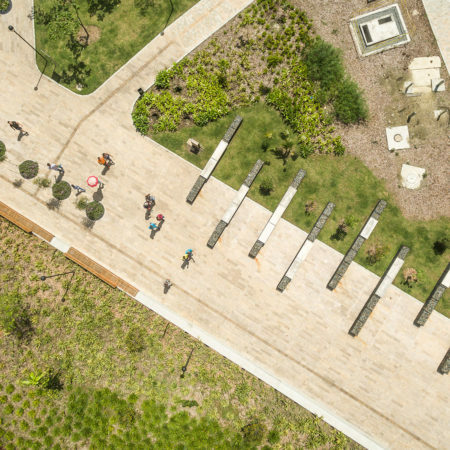 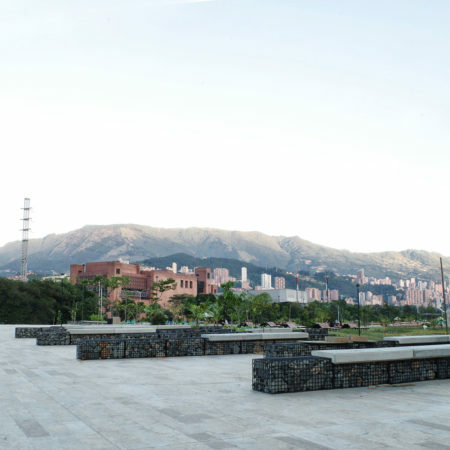 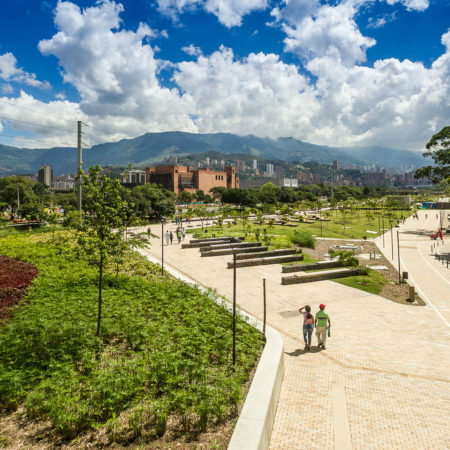 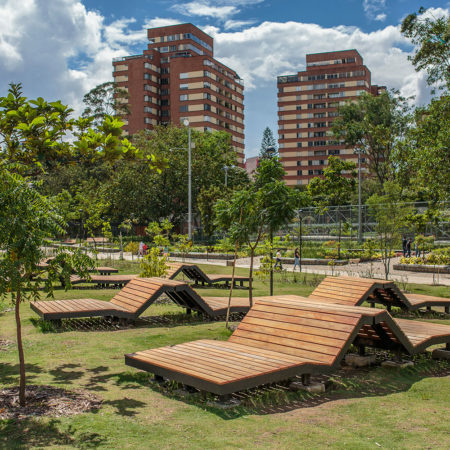 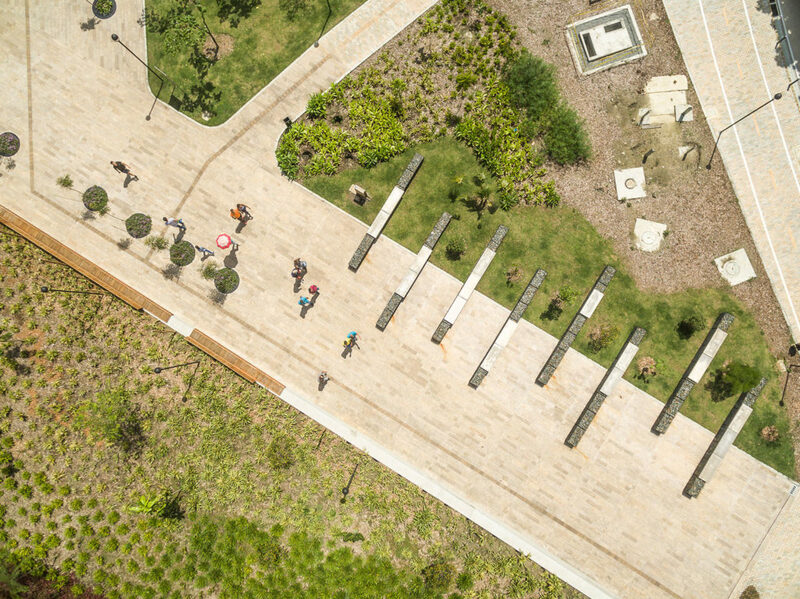 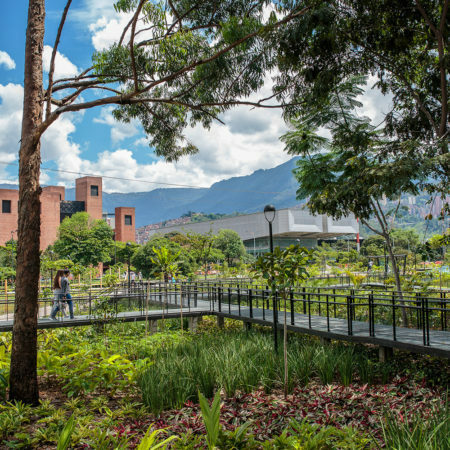 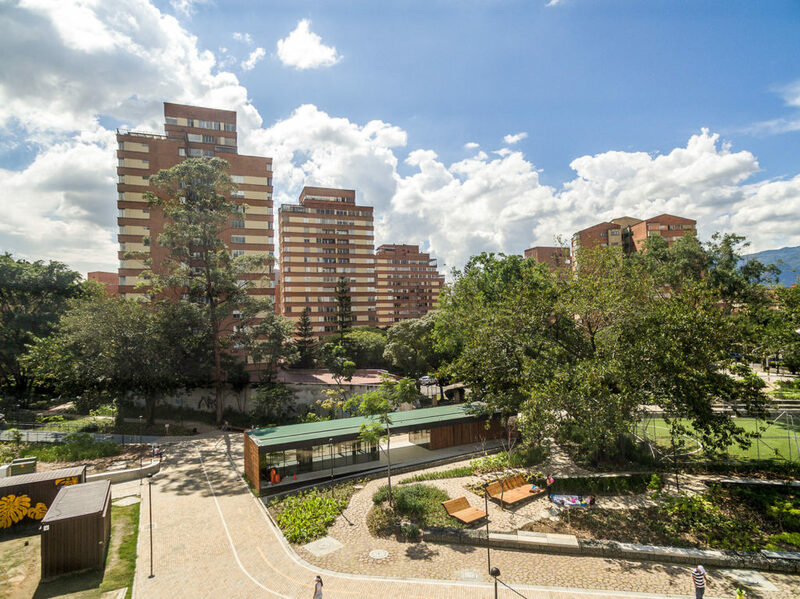 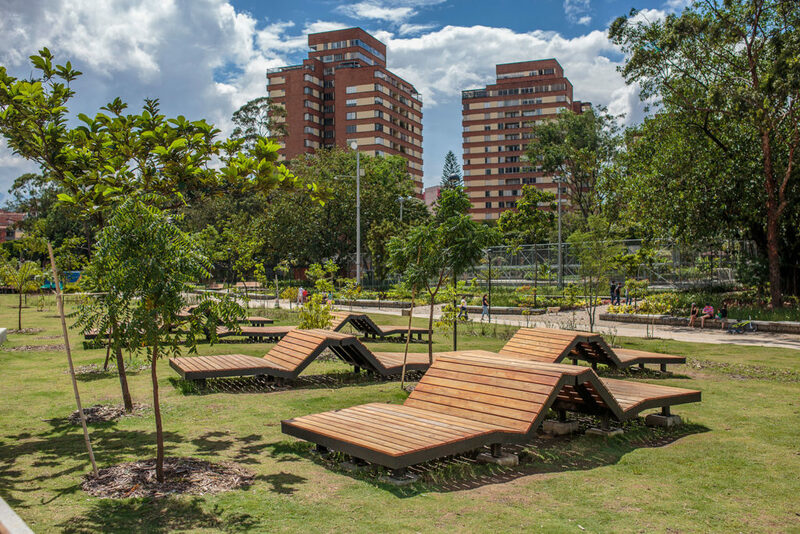 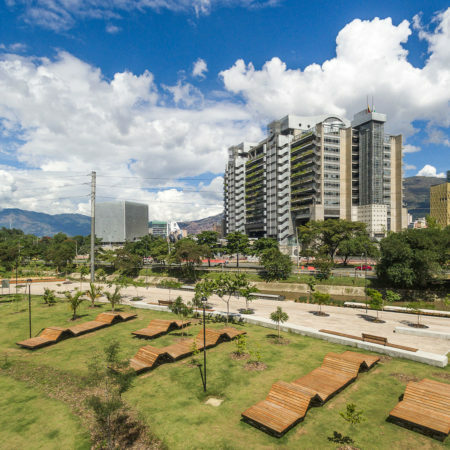 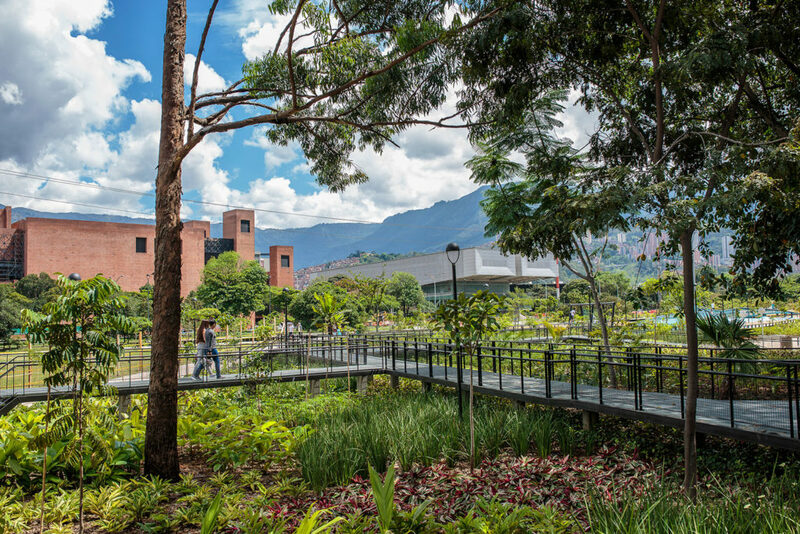 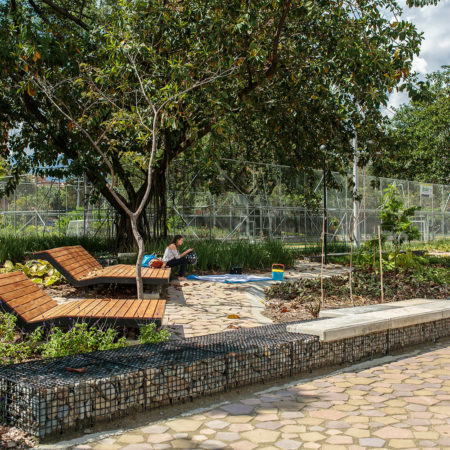 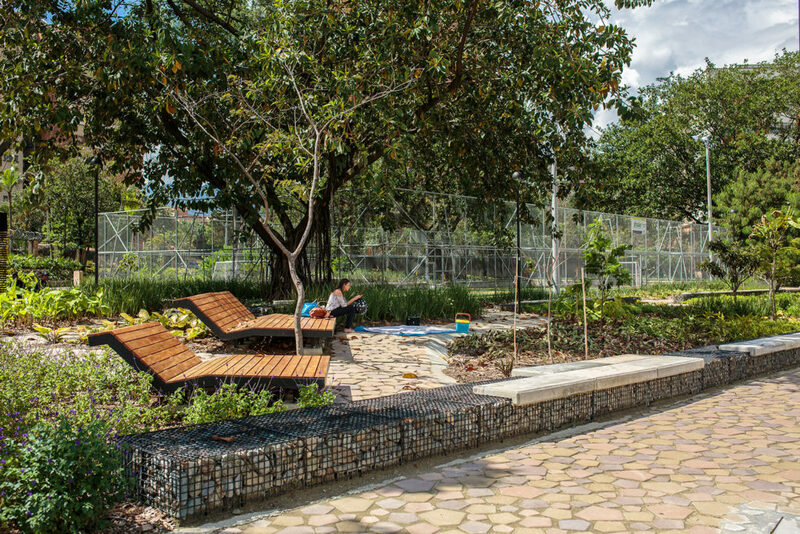 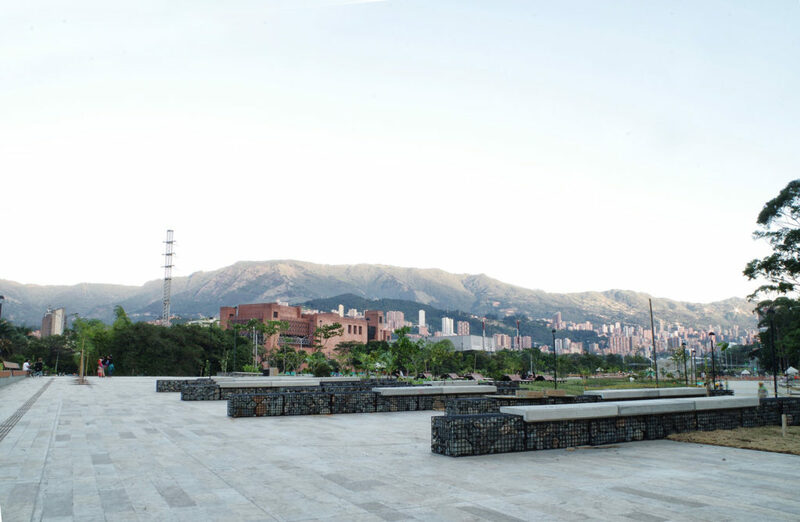 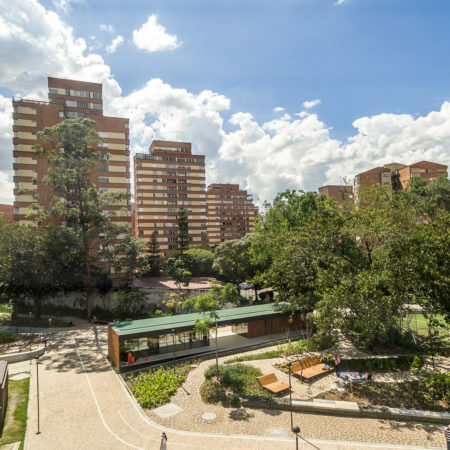 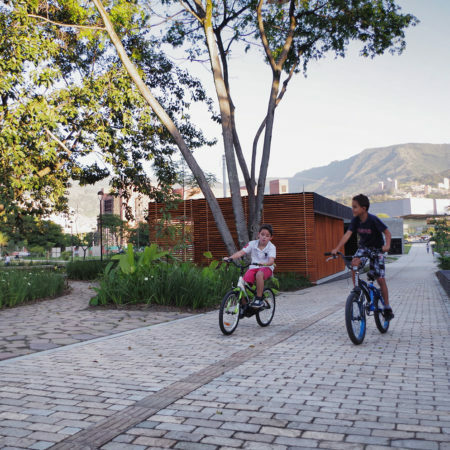 Nature is then integrated into the road infrastructure, creating a botanical park that articulates the city’s natural systems in an environmental circuit within the Aburrá Valley. 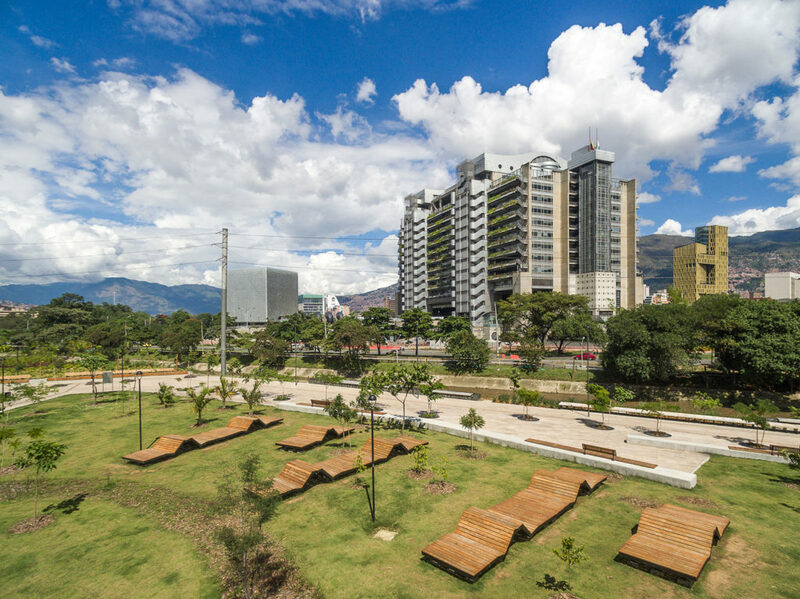 The park seeks to develop environmental awareness, preserve native species of the region, connect the biotic network of the valley and protect it from rapid urban growth. 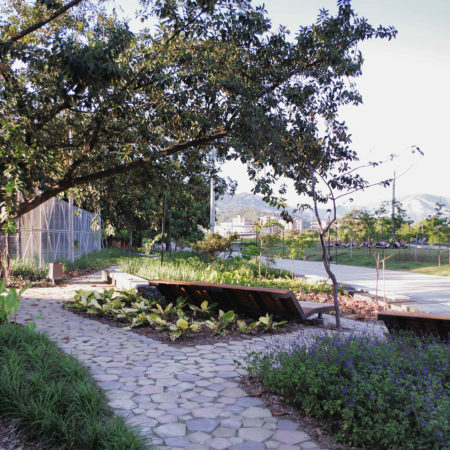 To value the diverse territory in flora, and to educate through the public space. 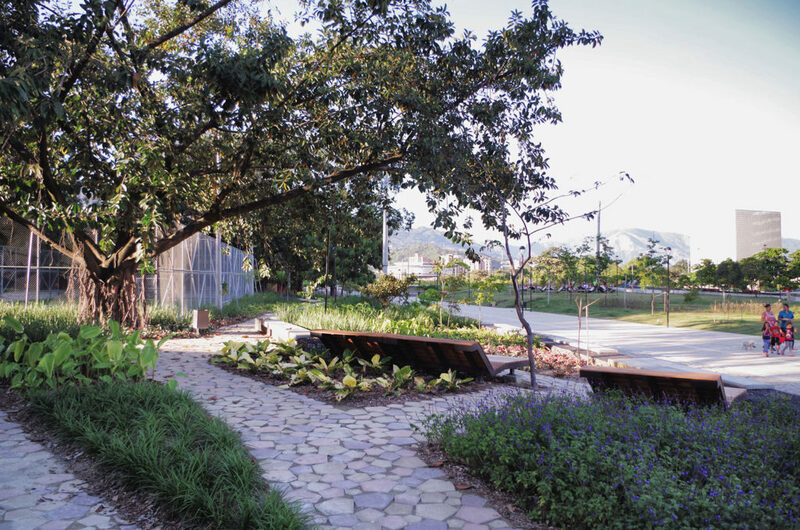 The project in its design is a space that evokes nature in an urban context. 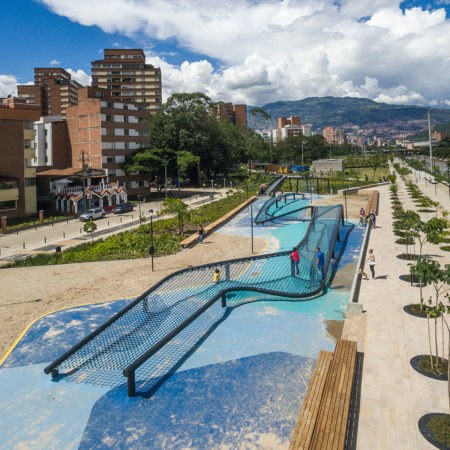 River Parks is the trigger for the physical cross-sectional integration of the two sides of the city. 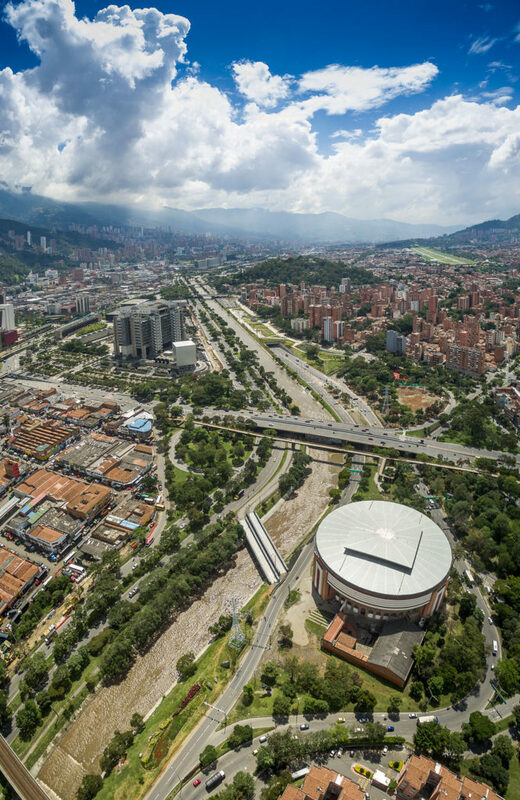 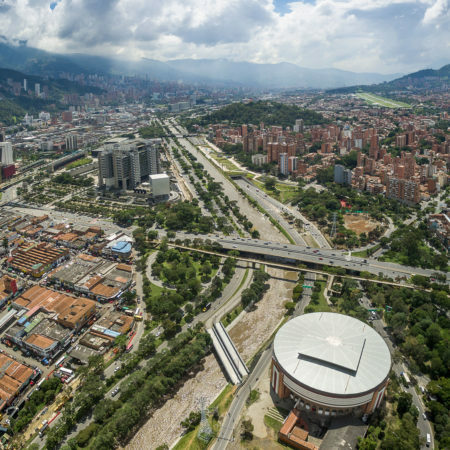 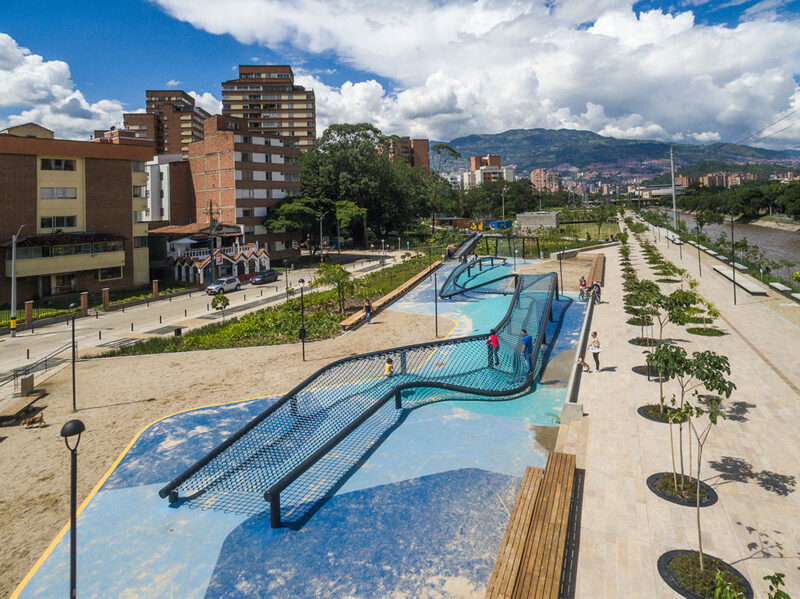 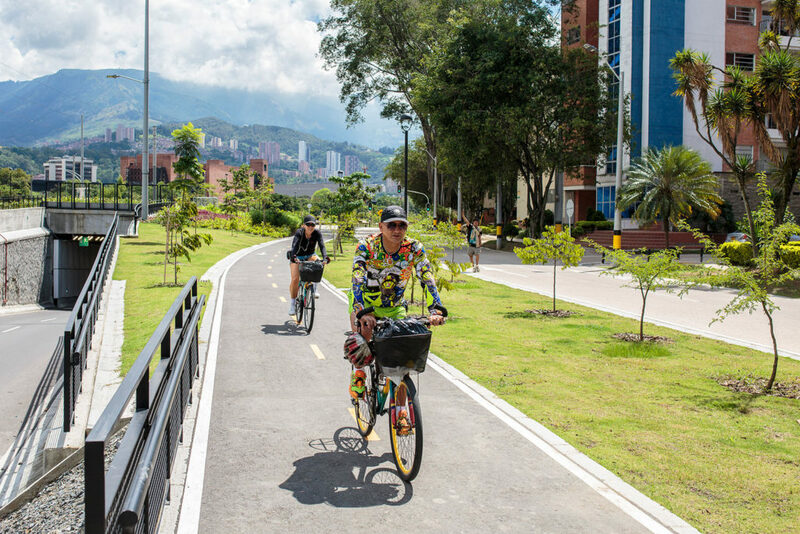 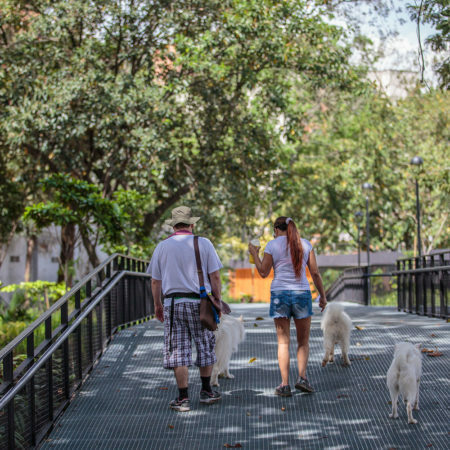 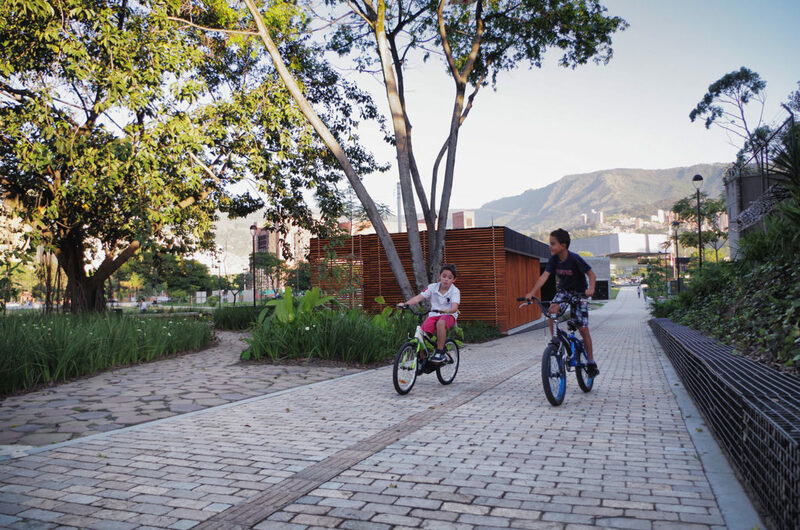 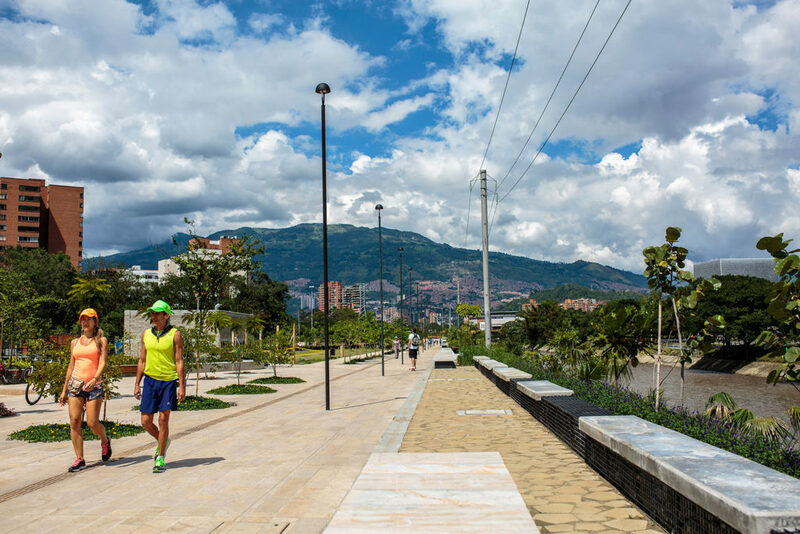 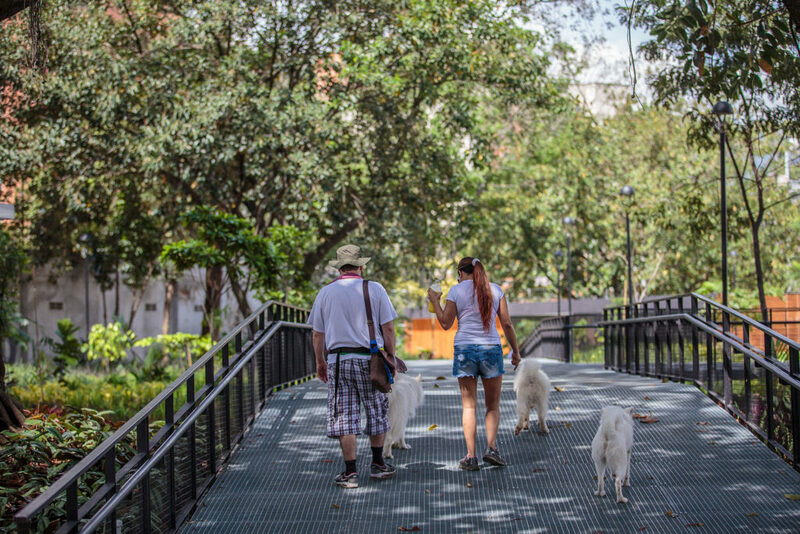 These connections are made through a series of park bridges, which allow to connect and complete the fabric of pedestrian, biotic and cycling roads, which will form a social and urban integration necessary for medellín. 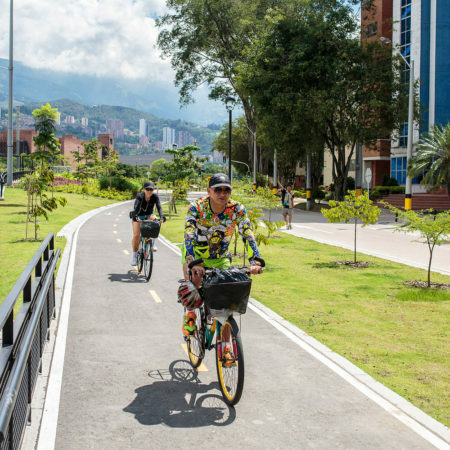 Connection circuits for pedestrians and bicycles are created, improving the air quality and the habitability of the city. 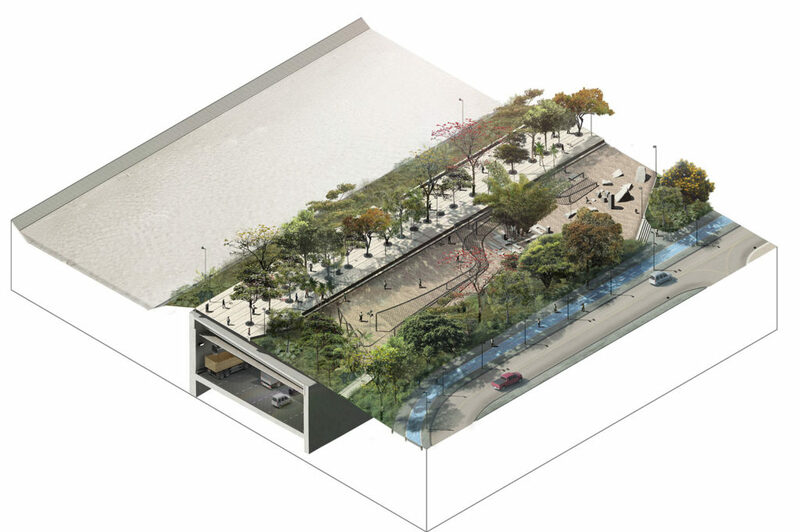 The neighborhoods will be integrated, the banks will be the new citizen meeting space, and the river will not look like a sewer, but as an opportunity. 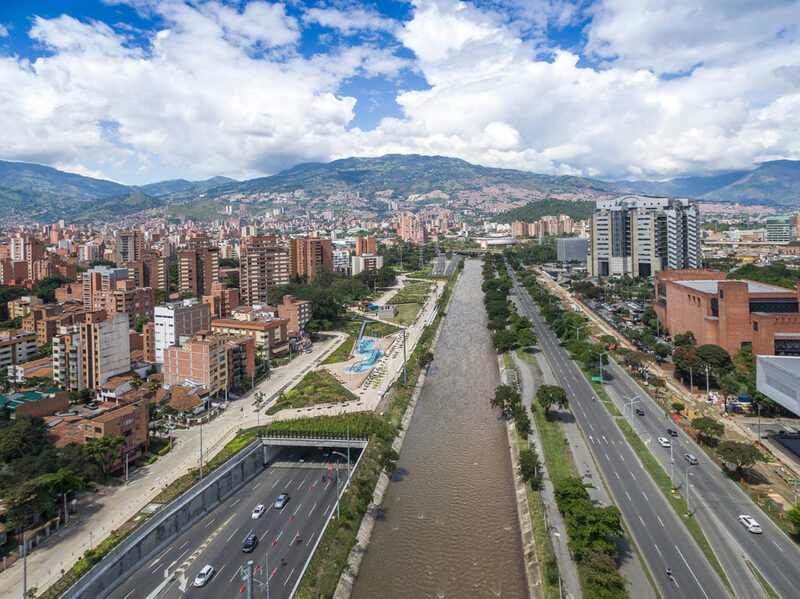 The river is no longer a barrier, it is an urban opportunity that will change the way of relating the 2.5 million inhabitants of Medellín. 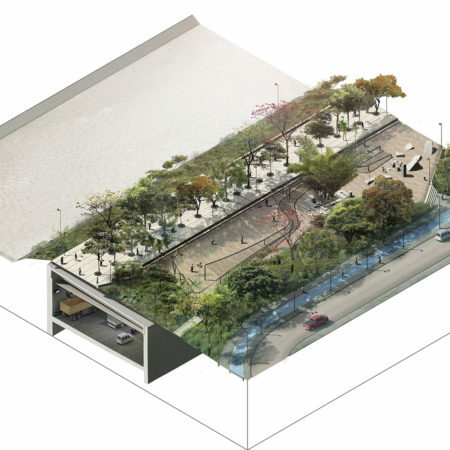 Landscape Architects: Ar. 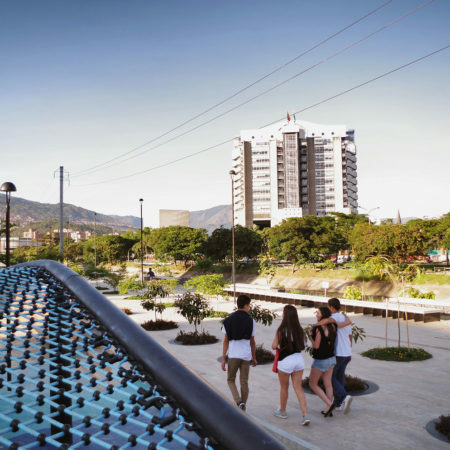 Nicolás Hermelin., Eng. 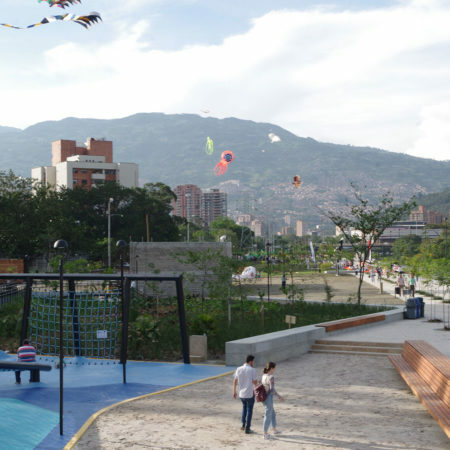 Luis Vera.